March 3rd at the Forum Theatre in The Potteries Museum and Art Gallery , Stoke on Trent marked a raw and bloody rematch of the one of the most traumatic events of the last century – the 1984 miner’s strike. 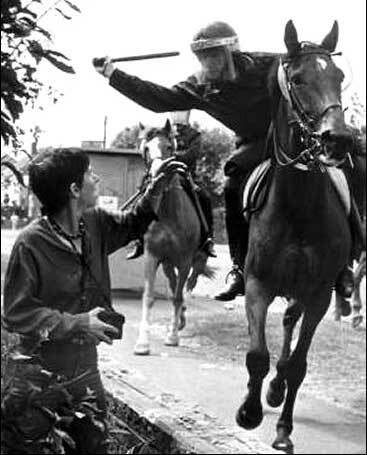 The dispute still bitterly divided people 25 years after the event with an emotional audience still resenting the outcome that marked the defining moment when capitalism triumphed over labour in British society. Then Arthur Scargill was pitched against Margaret Thatcher – and neither side was willing to give any quarter. But the defeat of the miners gave the green light for the Conservatives to turn the screw on the trade unions and laid open the opportunity for unbridled capitalism then ended in the credit crunch collapse in 2009.. This month former Tory MP and Thatcher government minister Edwina Currie fought with Respect MP George Galloway and neither gave any quarter over the dispute or its legacy. Quietly spoken Ken Loach, one of the country’s foremost film directors, also weighed on the side of the miners and their leaders and alongside Galloway was sharply critical of the failure of other unions and Labour to back Arthur Scargill . As joint author of a new book on the miner’s strike, Marching to the Fault Line, I found myself a bit of a ” piggy in the middle” trying to point out some facts – against Galloway and Currie. Galloway portrayed me as some of sort of revisionist historian. Sadly again Arthur Scargill was not present as he has not replied to the organisers – a similar experience I had when I wrote the book with co-author Francis Beckett when he would not co-operate or be interviewed. The debate can still be followed on the internet on http://pitnpots.co.uk which will screened it live. A DVD will be produced soon. The organisers Alan Gerrard and Cheryl Artbay deserve to be congratulated for staging it.- they had to turn people away it was so popular. Pity it was not more widely picked up but that is sadly a fact in ther instant 24/7 news round.. Other events are on http://www.creativestoke.co.uk/80430/info.php?p=3. This entry was posted in Uncategorized and tagged Edwina Currie, Ken Loach, miner's strike, Scargill, Thatcher. Bookmark the permalink.